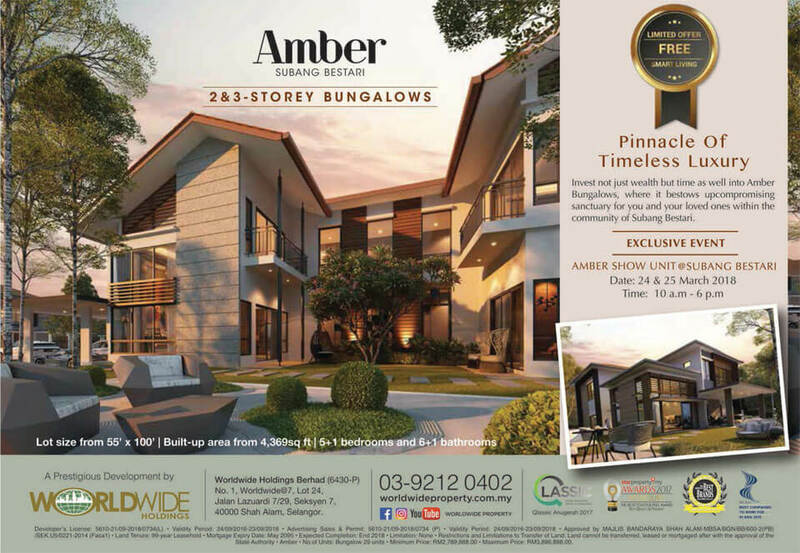 Lot size from 55’ x 100' with Built-up area from 4.369 sq ft, 5+1 bedrooms and 6+1 bathrooms. Pinnacle of Timeless Luxury. 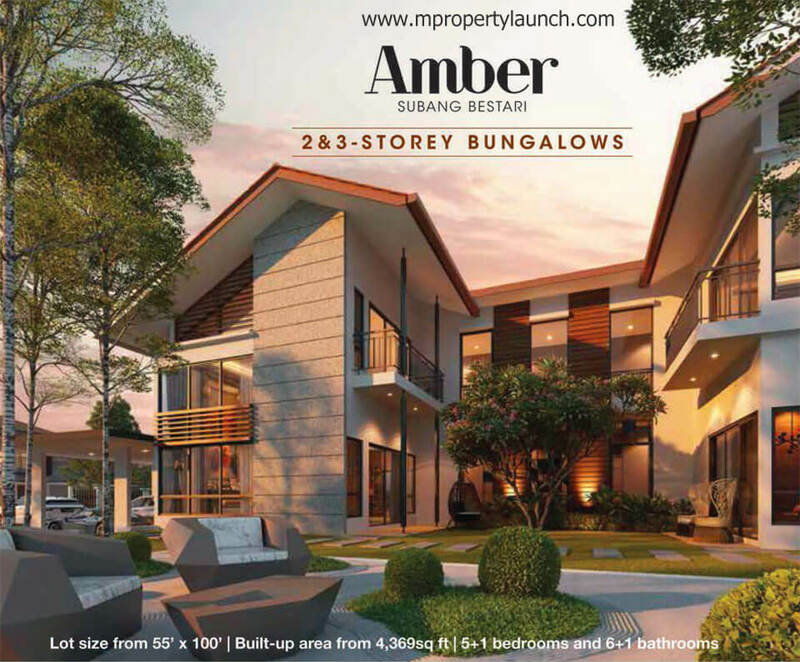 Invest not just wealth but time as well into Amber Bungalows, where it bestows upcompromising sanctuary for you and your loved ones within the community of Subang Bestari. Land cannot be transferred, leased or mortgaged after with the approval at the State Authority. Disclaimer: All illustrations are artist‘s impression only. The information contained here in is subject to change without notification as maybe required by the authorities or developer's architect. Whilst every care has been taken in providing these information, it cannot form part of an offer or contract. MPropertyLaunch.com shall not be responsible for any issue caused by informations provided here.